Service providers need to maximize the return on investment in their networks and are keeping TDM equipment in service, especially the end-node voice switches. In remote communities, such as Africa, India and rural Americas, the solution is much the same – keep the TDM equipment at the edge, modernize the core with IP and backhaul the SS7 links over the core. 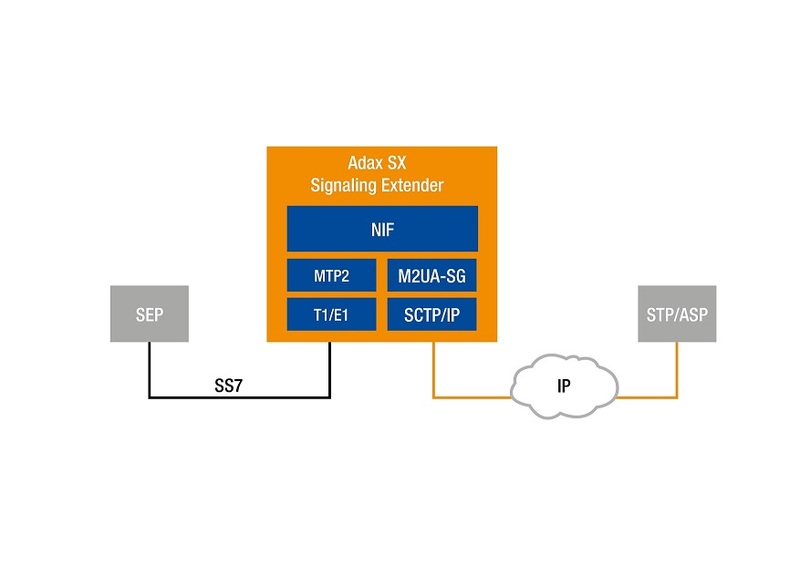 The Adax Signaling Extender (SX) can be configured as an SS7 backhaul device, or as an SS7 link concentrator and front-end interface, to maximize the core network performance. The complementary Adax virtual HDC-M2UA software product specifically leverages, preserves and enhances the current investment in SS7 stacks and allows an MTP3 application server, SCP, STP, HLR etc to communicate with remote SS7 nodes using M2UA over an IP based core network. By installing the Adax HDC-M2UA software in application servers running SS7 stacks such as Aricent or Trillium and others, the existing MTP3-MTP2 convergence layer will not have to be modified.